It’s here people, no more annoying children sticking plastic LEGO bricks up their nose and parents despairing about dangerous choking hazards. 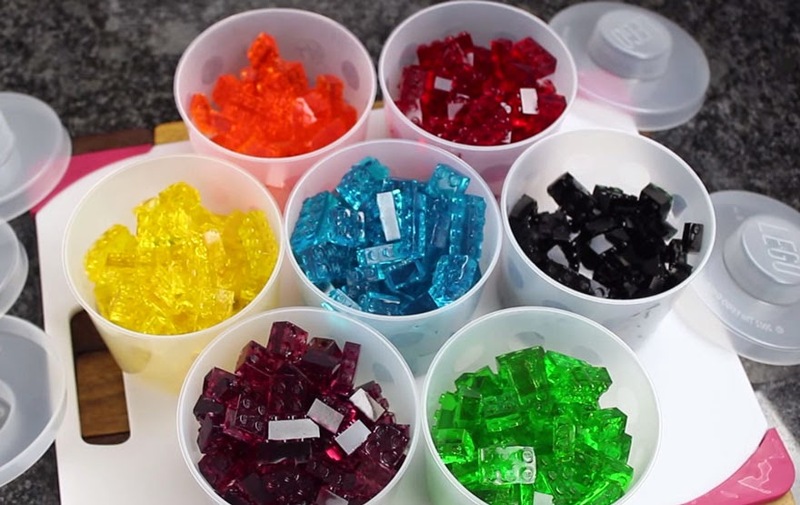 You can now make edible and stackable LEGO gummy sweets all in the comfort of your very own kitchen. Brought to us by the wonderful mind of Grant Thompson; the man behind the ‘King of Random’ Youtube DIY channel, this new LEGO trick is going to be an absolute sensation. With only two key ingredients, gelatin and water, they really couldn’t be easier to make at home. The hardest part is the mould itself, which you can either make yourself or buy if it’s simpler (it’s simpler to buy them directly from Amazon). Once you have that however, you can get started making fun LEGO treats for you and your friends. Clever, fun and definitely novel; these LEGO gummy bricks are a wonderful idea for parents and those of you looking for a little adventure from your sweets. Once news spreads about his new idea, Grant Thompson will surely be inundated with requests for tips on how to sculpt more elaborate gummy treats. Think these treats are good? Well check out this giant Fererro Rocher, which is bound to get the creative juices flowing even more!